Explore the health benefits of using essential oils. These naturally occurring oils are extracted from seeds, flowers,stems, bark and other parts of plants. Essential oils have been described as the “soul” of the plant. Their use dates by to biblical times and includes food preparation, beauty treatments,household cleaning and healthcare practices. Essential oils can be pleasantly and powerfully fragrant. These aromatic oils are rapidly growing in popularity because of their anti- inflammatory, antioxidant and antimicrobial properties. If you suffer from arthritis, headaches, nasal congestion or just need to improve your mood, you won’t want to miss part two of Essential Oils and You. Find out which essential oils you can use to relieve pain and improve your well being naturally. Join the discussion with natural health practitioner, Dr. T.B. Stovall and wellness advocate, Diane Biasi, Friday April 10th at 12 noon (est) on the Stovall and Hoggard Communications Network on blogtalk radio. Listen or call in at 1-814-338-1541. Sisters Chat is back and have we got a great show planned for you! Over the last several months, there have been several high-profile police incidents involving the death of young black men including the shooting death of Michael Brown in Ferguson, Missouri, the 45-year-old homeless man killed by LAPD last month, the death of Eric Garner who died as a result of police using a choke hold, and most recently, the forceful arrest of UVA student Martese Johnson who was left beaten and bloodied on the sidewalk outside a bar near campus. These are only a few of the recent violent confrontations between black males and police. The deaths of these men, the call for investigations and seemingly no one being held accountable for the taking of innocent lives, a new battle cry has arisen in the continue fight for justice and equal civil rights. The battle cry, “Black Lives Matter,” has been heard in rallies from California to New York City and many cities in between. The Sisters Chat panel will talk about the “Black Lives Matter” movement, what it means to our communities and if there will be a new crop of black leaders that emerge from this new threat. Join us on Wed., March 25 at 6 p.m. for Sisters Chat only on Stovall & Hoggard Communications Network on blogtalk radio. Call to join the conversation at 1-914-338-1541. 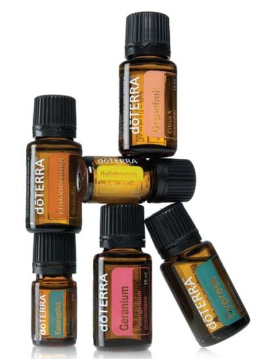 Essential oils have been in use since Ancient times for food preparation, beauty treatments and health care practices. These aromatic oils can be pleasantly and powerfully fragrant. 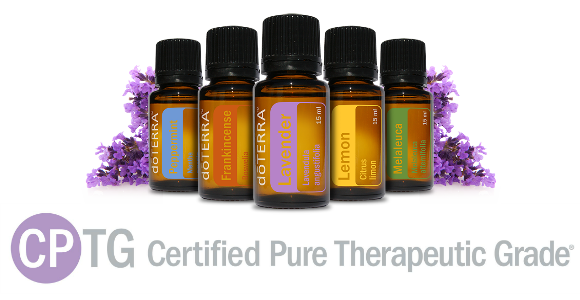 Essential oils are extracted from seeds, flowers, stems, bark and other parts of plants. These naturally occurring oils are rapidly growing in popularity because of their anti-inflammatory, antioxidant and antimicrobial properties. Join host Dawn Stovall and co-host Dr. T.B. Stovall on A Total Body Synergy for Essential Oils and you! Explore the health benefits of these natural oils and their various uses. A Total Body Synergy airs Friday at 12 Noon (EST) on the Stovall and Hoggard Communications Network. Have we got a special treat for all you fitness fans. Our special guest for this episode of Monday Madness is International Fitness Professionals Association (IFPA) Pro Physique body builder Tiffany Franklin. Ms. Franklin will join your hosts Ken Williams (BBK) and Tiffany Santana (Metropolitan Bootcamp for Women) to talk about the benefits of weightlifting for women. Ms. Franklin will share with you all her journey from just wanting to get in shape to gaining IFPA pro status. Tune in and log on to Monday Madness: The Health and Fitness Show on Blogtalkradio only on the Stovall & Hoggard Communications Network on blogtalk radio. The show airs Monday, March 16 at 10 a.m. atwww.blogtalkradio.com/sandhcn. Got questions or want to join the conversation, call 1-914-338-1541. You work out consistently, watch your diet with a passion yet you still aren’t losing the weight. Why? It can be frustrating, but not impossible. Join the Monday Madness team as they discuss the 10 Reasons You’re Not Losing Weight – Part 2 at 10 am on the Monday Madness: The Health and Fitness Show on Blogtalkradio​. Call 1-914-338-1541 with your questions or click on the link to listen in http://www.blogtalkradio.com/sandhcn. Continue to read our blog and listen in as we make some major changes to the Monday Madness show format. Thanks for your support. Ever make New Year’s resolutions to get fit and healthy only to fall off the wagon the second week into the new year? Yeah, been there, done that. We all have made tons of New Year’s resolutions and did so with every intention to fulfill them. Well, tune into Monday Madness: The Health & Fitness Show (Monday, December 29 @ 10am) with Ken Williams (Body by Ken) and Tiffany Santana (Metropolitan Bootcamp for Women) as they give you ideas on how to set reasonable resolutions, SMART goals and tips on how to stay on track with your fitness resolutions. Post your questions on the Facebook Fan Page or on the network blog on WordPress at scnradioblog.com. Or, you can call 1-914-338-1541 to listen or ask questions. On this episode of Monday Madness: The Health and Fitness Show (Monday, December 22 at 10 a.m.), your fitness gurus offer up tools and tips to survive the Christmas and New Year’s holiday festivities. Join the conversation or listen in by calling 1-914-338-1541. Can’t listen live? No worries, we’ll post pertinent information on the S&HCN blog on WordPress at scnradio.blog.com. Post your questions here or on the Monday Madness Facebook fan page and we’ll answer them on the air. Merry Christmas and best wishes for a most prosperous New Year . . . from the Stovall and Hoggard Communications Network family.